Posted on 14, August 2018 by EuropaWire PR Editors | This entry was posted in Germany, Industrial, Management, Sweden and tagged Andreas Schierenbeck, elevators, escalators, Metro, Stockholm, ThyssenKrupp, ThyssenKrupp Elevator. Bookmark the permalink. ESSEN, 14-Aug-2018 — /EuropaWire/ — Using the ‚Stockholms tunnelbana’, the capital’s metro system, may be daily routine for the local residents, but it is definitely a fascinating experience for tourists and visitors: The stations are well known for their unique collection of sculptures, artworks and exhibitions and are often considered to be the world’s longest art gallery. To enjoy the experience – as well as to catch their subway – passengers need reliable and efficient elevators and escalators. 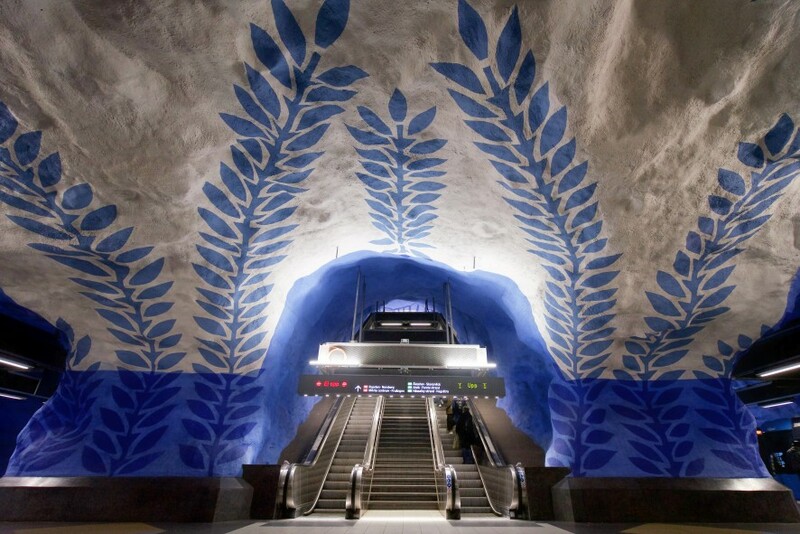 That’s why Stockholm’s public transportation company Storstockholms Lokaltrafik has signed a contract with thyssenkrupp Elevator to maintain all of the approximately 220 escalators and 220 elevators at the 80 stations along the 110 kilometers long metro system. The contract is one of the biggest of its kind in Sweden. Since this summer and for the next eight years, thyssenkrupp Elevator is responsible for a seamless 24/7 operation of the more than 500 heavily used elevators and escalators: Up to 270 million passengers use the Stockholm metro system every year. That corresponds to more than half a million people per day. The same high standard that is in place for the displayed art at the stations applies to the mechanical equipment. No matter the manufacturer: Every single transportation unit must run without down time. thyssenkrupp Elevator is the trusted partner for this challenging task – end even sets up a new branch dedicated only to the Storstockholms Lokaltrafik and for the scope of the contract. Sweden takes a pioneer position regarding future concepts of transportation and mobility. Stockholm faces similar challenges of growing urbanization as other metropolises – including peoples’ demand to get from A to B as quickly and comfortably as possible. In ensuring a trouble-free system of elevators and escalators at the metro stations thyssenkrupp Elevator will just do that.